An international research team at the University of Copenhagen announced today that it has successfully developed an innovative 3D method to grow miniature pancreas using progenitor cells. The future goal is to use this model to help in the fight against diabetes. Professor Anne Grapin-Botton and her team at the Danish Stem Cell Centre have developed a three-dimensional culture method which enables the efficient expansion of pancreatic cells. The new method allows the cell material from mice to grow vividly in picturesque tree-like structures. The method offers huge long term potential in producing miniature human pancreas from human stem cells. These human miniature organs would be valuable as models to test new drugs fast and effective -- and without the use of animal models. "The new method allows the cell material to take a three-dimensional shape enabling them to multiply more freely. It's like a plant where you use effective fertilizer, think of the laboratory like a garden and the scientist being the gardener," says Anne Grapin-Botton. 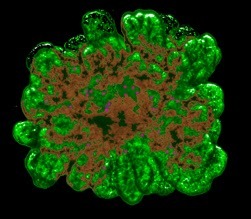 The cells do not thrive and develop if they are alone, and a minimum of four pancreatic cells close together is required for subsequent organoid development. "We found that the cells of the pancreas develop better in a gel in three-dimensions than when they are attached and flattened at the bottom of a culture plate. Under optimal conditions, the initial clusters of a few cells have proliferated into 40,000 cells within a week. After growing a lot, they transform into cells that make either digestive enzymes or hormones like insulin and they self-organize into branched pancreatic organoids that are amazingly similar to the pancreas," adds Anne Grapin-Botton. The scientists used this system to discover that the cells of the pancreas are sensitive to their physical environment such as the stiffness of the gel and to contact with other cells. An effective cellular therapy for diabetes is dependent on the production of sufficient quantities of functional beta-cells. Recent studies have enabled the production of pancreatic precursors but efforts to expand these cells and differentiate them into insulin-producing beta-cells have proved a challenge. "We think this is an important step towards the production of cells for diabetes therapy, both to produce mini-organs for drug testing and insulin-producing cells as spare parts. We show that the pancreatic cells care not only about how you feed them but need to be grown in the right physical environment. 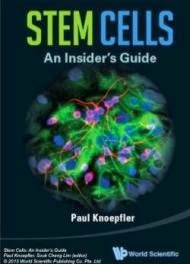 We are now trying to adapt this method to human stem cells," adds Anne Grapin-Botton.